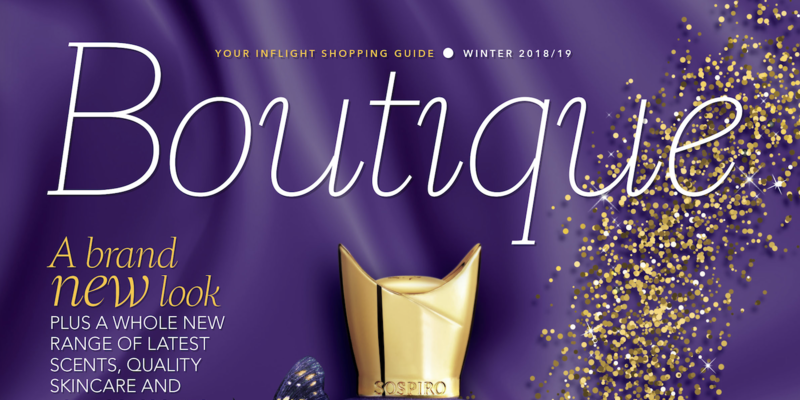 Etihad Airways has relaunched Boutique, its inflight shopping magazine, making it into a more contemporary editorial-style publication with improved photography and a wider product range. The redesign was carried out with Retail inMotion, Etihad Airways’ new onboard retail partner, which is also working with the airline to enhance its food and beverage offering and using new technology to enable guests to customize their journey. Boutique now features 90 new products, inflight exclusives, gift ideas and new fragrances on the market including L’Interdit and Gentlemen by Givenchy, Ombré Leather by Tom Ford and Terre d’Hermès, all launched in the last month. The November cover features Erba Pura by Sosprio, from luxury perfume house Xerjoff, and Etihad Airways claims to be the first – and currently the only – airline in the world to offer this fragrance. According to Etihad, of the top 10 most desired fragrance brands in the UAE, Boutique lists eight, including exclusive perfumes for the Middle East such as Armani Privé Oud Royal and three Guerlain fragrances – Oud Essentiel, Musc Noble and Santal Royal. Limited edition Carolina Herrera Insignia for men and women will also feature in the November issue. 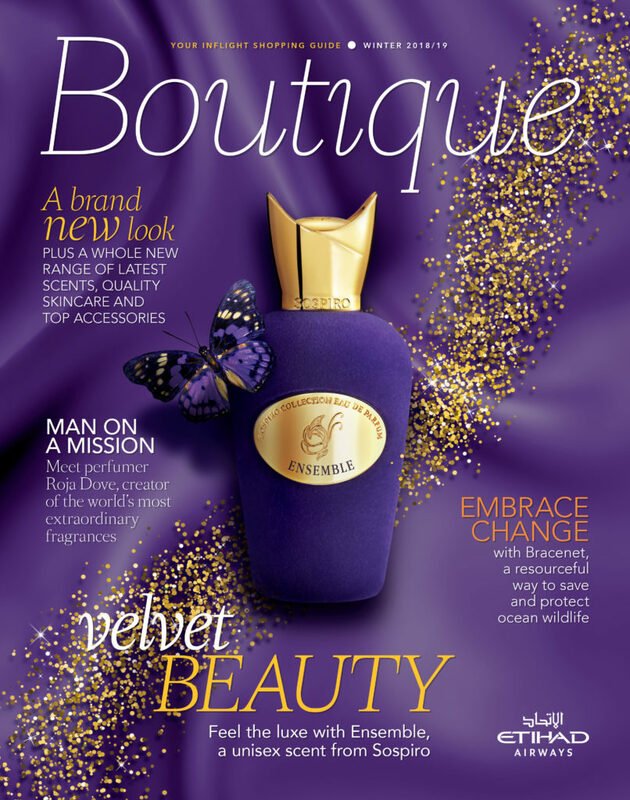 The beauty and skincare section of the magazine will feature a broader collection of competitively priced products, from Guerlain Terracotta radiance powder to makeup sets by Rimmel, WOW and Revlon, A’kin’s organic rosehip oil, Tan-Luxe self-tan drops and Perricone MD’s ‘no makeup’ foundation and bronzer. Ladies accessories are highlighted by the latest fashion trends including the Mulberry Darley crossbody satchel, Salvatore Ferragamo sunglasses and Clogau’s Inner Charm Pendant made with Welsh gold (a rare gold used by the British royal family). Unique jewellery also debuts including Melissa Curry’s ‘Be your own success’ gold bracelet for women. For men, Bracenet turns derelict fishing nets salvaged from the ocean into sustainable and fashionable wrist-wear. 1% of Bracenet profits are donated to the Healthy Seas organization. Timepiece brands on sale range from Ferrari, Maserati and Versace to Chocomoon vintage watches, and Abeler & Söhne’s new one-handed watch.